Canadian rock band Billy Talent has mastered their new album for Klipsch Reference R6 and R6i on-ear headphones in order to address the new ways in which consumers access, control and connect to content. This mastered-for-Klipsch headphones album ensures the band’s art, message and emotion translates to listeners the way they intended it to. 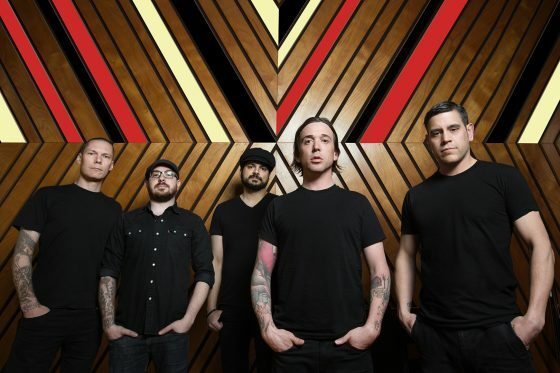 Billy Talent’s new studio album Afraid of Heights debuts July 29 on vinyl, CD and digital download. All physical copies of the album include a unique download code allowing fans to access a special high-resolution, 24 bit/96kHz, mastered-for-headphones edition of the album. “Each track has EQ applied to it to sound best on Klipsch R6 and R6i on-ear headphones. It makes the album sound like you are listening to an audiophile production through a pair of headphones five times the cost of the Klipsch R6i. The album sounds exactly the way it does in the studio,” said Vlad Grodzinskiy, Sr. Manager of Product Development – Headphones for Klipsch. 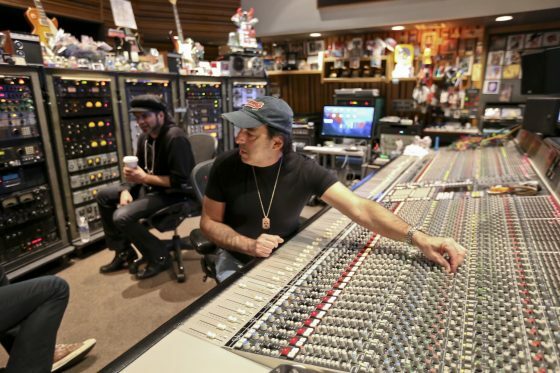 Klipsch audio engineers worked with Grammy award winning American mixing engineer Chris Lord-Alge to master the album utilizing Klipsch Reference R6 and R6i on-ear headphones. Lord-Alge first gained notoriety at Unique Recording Studios in New York City in the 1980s for his work on James Brown’s Gravity. He has gone on to work with some of the biggest names in music, including Joe Cocker, Tina Turner, Bruce Springsteen, Green Day, Aerosmith and Muse among many others. Klipsch Audio has been making legendary speakers for over 70 years, delivering the power, detail and emotion of the live music experience to music fans around the globe. The same advanced acoustic engineering and sonic signature that emulates the home theater experience inspired the performance, voice and design of the award-winning Reference R6 and R6i on-ear headphones. Their passive noise-isolation design means ambient noise is reduced with the luxuriously padded memory foam ear cups. The Reference R6 on-ear headphone is compatible with any device that has a 3.5mm headphone jack. The Reference R6i on-ear headphone offers the same acoustic performance and comfort while offering listeners an advanced three-button remote and mic that allows for seamless control of music and phone calls on iPhone, iPod and iPad models. Watch the album being mastered-for-Klipsch headphones here. For more information visit Klipsch.com/BillyTalent or BillyTalent.com.